Louise has had her wedding cake booked with me for over a year .... and the day had finally come! 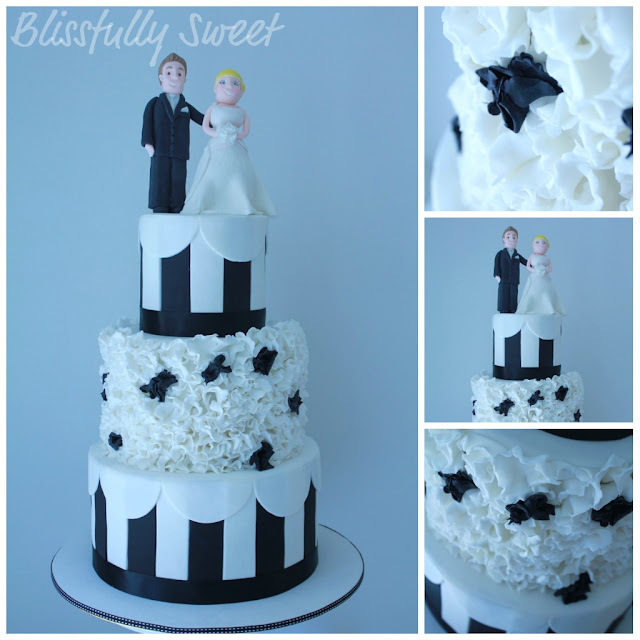 The wedding always had a theme of black and white and Louise came to me with a cake design in mind. 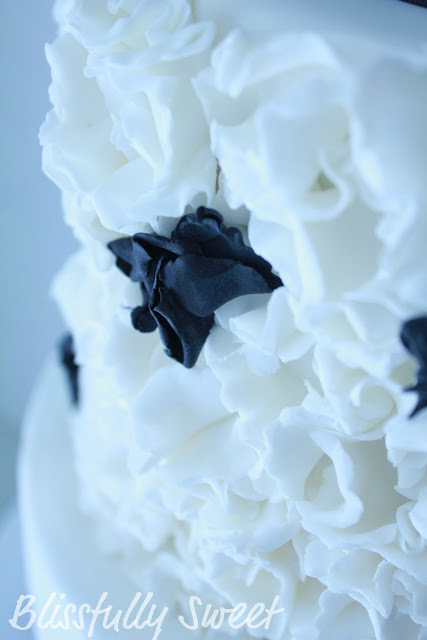 This is the cake design that Louise chose, however at the last moment, I suggested that the middle tier be different to the other two striped tiers and for it to be covered in scrunchy white flowers with a pop of black! I think it became a point of difference to the cake while still keeping the original design that Louise had made and loved. The bottom and top tiers are chocolate mud cake with dark chocolate ganache. The middle tier is white chocolate mud cake with white chocolate ganache. 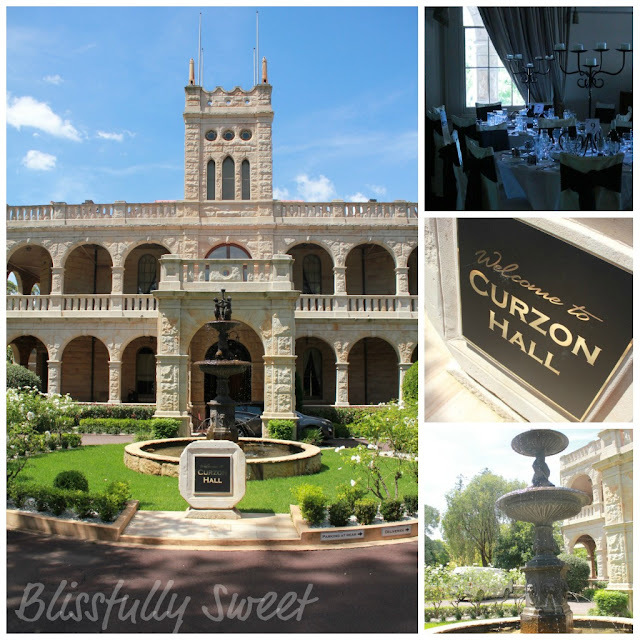 The wedding was held at the beautiful Curzon Hall. Such a gorgeous venue for a wedding and Louise also had her ceremony in the gardens of this magestic estate. Louise's design with my ruffled addition! The beautiful and magestic Curzon Hall! 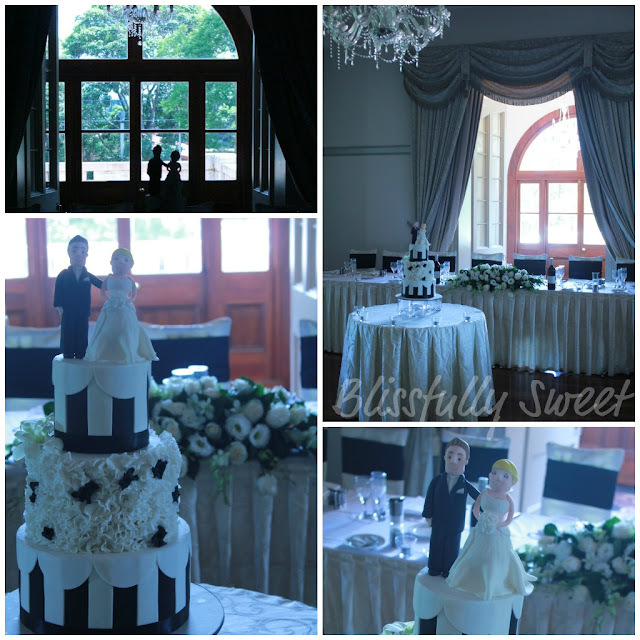 and the cake set up in the beautiful reception room. I especially like the top photo of the topper in the shadows of the window! This one is truly looking fantastic Cake design for newly wed couples. 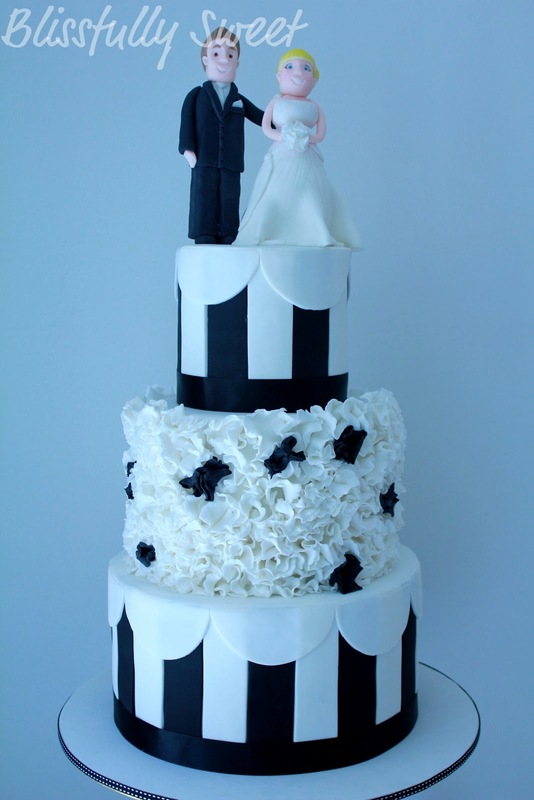 I am truly surprised to see this elegant and exotic designed Wedding Cake. It's truly looking exceptional and adorable. I am highly impressed to see the creativity of the maker. It's truly one of the idealize source for my wedding anniversary.